Athletes from the GPRC Wolves X-Country team and the Wolves Athletics Club claimed the top spots at the Bezanson Bog Cross Country Running races on Saturday at the Old Bezanson Townsite. In the featured 6.4 km distance, rookie Wolves runners Riley Wallace and Joren Manz went 1-2. Wallace stopped the clock at 25:42, 40 seconds ahead of Manz. North Peace Secondary School runner Ben Blackmon placed third. Wolves Athletics Club runner Marlene Corcoran was the top women in the 6.4 km distance; team mate and Wolves Apprectice Coach Mallory Pinnock placed second. The sister-brother team of Danae and Tyson Keddie dominated the 3.2 km distance. Fourteen year old Danae won in a time of 16:04, 4 seconds ahead of her 12 year old brother. A total of 156 runners from across the Peace contested this year’s Bezanson Bog, Race #4 in the 2012 Wolves X-Country Running Series. Race #5, the Grailquest, takes place next Saturday in Ft. St. John. Also next weekend, the GPRC Wolves X-Country team is in Camrose taking on the best of the ACAC at the Augustana Open. 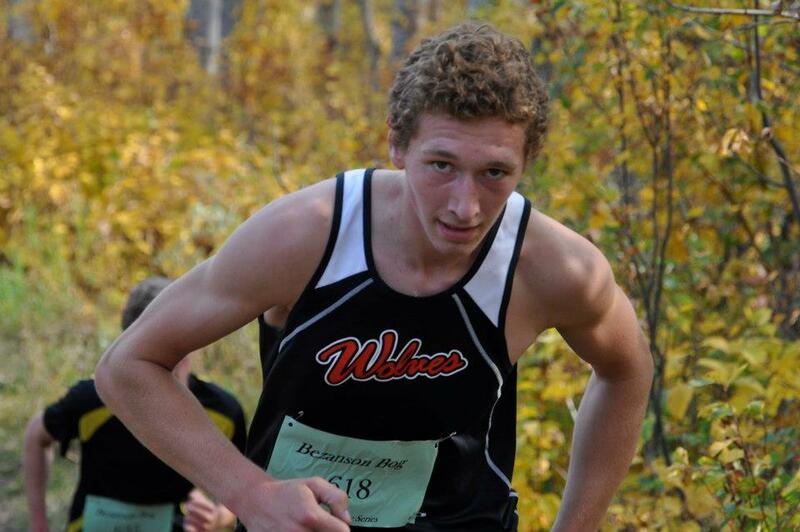 This entry was posted in Cross Country, Uncategorized and tagged Bezanson, Bezanson Bog, Cross Country Running, GPRC, GPRC Wolves X-C Running, Grailquest, Grande Prairie, Riley Wallace, Wolves X-C Running Series. Bookmark the permalink.